Fast acting multi-symptom relief. Safe for ages 2 years and up. No artificial colors or flavors. 100% natural, safe & effective. Sugar free, non-drowsy. Homeopathic. 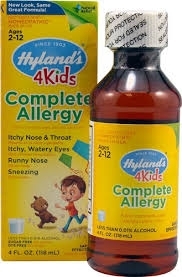 Children ages 2-under 6 years: 5 mL or 1 teaspoon up to 6 times per day (every 4 hours). Children 6 to under 12 years: 10 mL or 2 teaspoons up to 6 times per day (every 4 hours). Adults and children 12 years and older: 15 mL or 3 teaspoons up to 6 times per day (every 4 hours) or as recommended by a licensed health care professional.